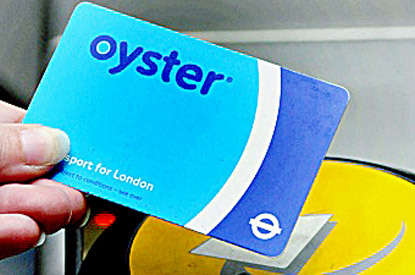 Commuters can use their Pay-As-You-Go Oyster cards on all trains in Wandsworth from January 2nd. This move was expected for years (since the use of Oyster cards for the Tube) and was meant to be included in the franchise with South West Train (managing Clapham Junction Station) in 2007. The probable lack of enforcement resulted into a 3 year delay when SWT argued on the cost of the implementation (despite having its franchise renewed). At the beginning of November, PAYG Oyster was eventually implemented on Southern Trains from Victoria Station to Balham with a complicated system which gave a discount if you used the train and then the tube (e.g. going from Clapham Junction to Green Park through Victoria). I explained here. I still don’t know if we have to thank Boris Johnson, Mayor of London or Sadiq Khan, Minister for Transport for the move. £2.30 Monday to Friday from 0630 to 0930 and from 1600 to 1900. £1.80 at all other times including public holidays. The capping off-peak (£5.60) is equivalent to the 1 day travelcard.